R.S. 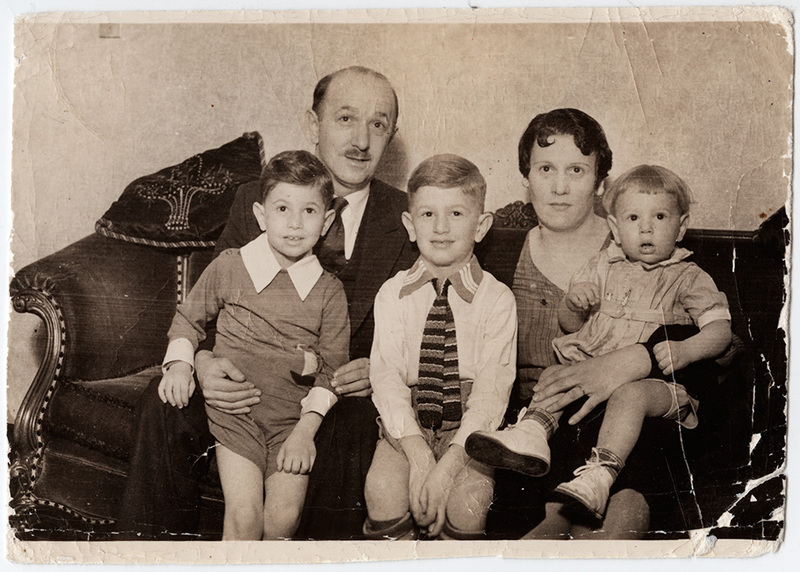 Mendelsohn as a child, sitting on a couch with his parents and younger brothers Mark and Allan. He sits between his parents, while they each hold one of his younger brothers on their laps.